Create an account with Unibet and start betting on your favourite sports within two minutes! Get a £40 welcome offer, a £10 Casino Bonus access to Unibet TV, industry leading markets and In-Play betting opportunities. Join over 17 million players today! -Aged 18 years or older. - Place a sports bet of minimum £1 with odds 2/5 (1.40) or greater. Each leg of a multiple bet has to be over 2/5 (1.40) for the bet to qualify. - If your bet wins, you have completed the bonus, you receive your winnings and your stake. - If your bet loses, you will receive your stake back up to a maximum of £40. - If you received £40 bonus money you need to bet £120 to complete the bonus conditions. 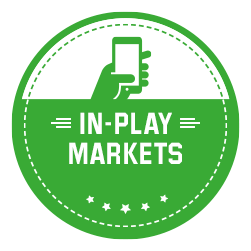 - Sportsbook bets will count towards the total once they’ve been settled. Only bets with odds of 2/5 (1.40) or greater will count. Each leg of a multiple bet has to be over 2/5 (1.40) for the bet to qualify. Only bets settled within the bonus validity period of 7 days, to the hour and minute from when you signed up, will count. Bets cannot be placed on Supertoto. - Cashed out bets will not count towards the wagering requirement. - If you received £40 bonus money you need to bet £1000 to complete the bonus conditions. Table Games and Video Poker only count 10% towards the bonus so if you play for £10 it will contribute £1. - It doesn't matter if you win or lose, every bet contributes towards your bonus. - Your £10 casino bonus will be credited to your account the next working day after you make your first deposit. - The bonus money must be wagered thirty-five (35) times on casino products before any bonus funds or winnings from the bonus become withdrawable. - The bonus is intended for casino use therefore Sportsbook wagering is set to x999. - You will receive £10 casino bonus money meaning you will need to bet £350 to complete the bonus conditions. - If the wagering is not met within 7 days any bonus funds will expire. - Any bonus balance that is in your account will be used before your cash balance. 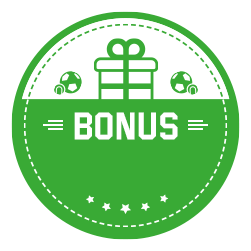 -Unibet Bonus Money can’t be used for the following products: Poker, Supertoto, Superscore and Bet-Up. -Only one bonus per household is permitted. -The bonus will expire after 7 days of opt in. If you don’t complete the wagering in this time the Unibet Bonus Money and the winnings you’ve made by wagering the Unibet Bonus Money will be lost. -You will not be eligible for the bonus if you deposit with one of these payment methods: hipaymistercash or Entercash. -Unibet reserves the rights to amend or terminate the bonus at any time. Sponsor of the Unibet Champion Hurdle, the Irish Gold Cup and Darts sponsors of the Unibet Premier League, the Unibet Masters, the Unibet World Grand Prix and the Unibet European Championship.